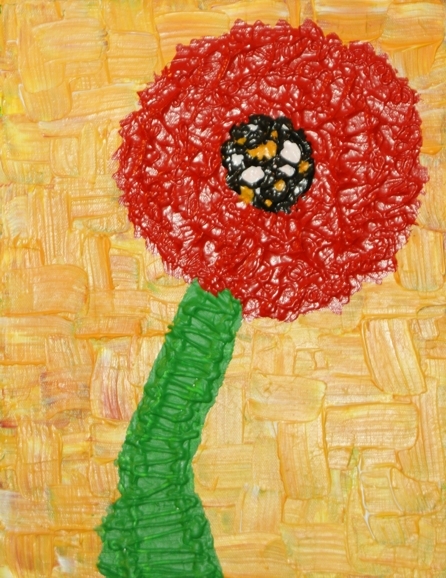 My poppy series is inspired by a trip to Morocco where I experienced plentiful fields of beautiful poppies. I'm very particular with the color of the poppies. While the color varies in the series, most of the flowers are an orangish red which also has gold paint added for some iridescence. The texture is created with a mixture of glue and heavy body acrylic paint.